Baxter International is considering laying off 5 percent of their non-manufacturing payroll, about 1,400 jobs, due to a sharp decline in third-quarter profits. The Deerfield-based maker of hospital products and renal-related goods blames the profit slump on the costs of spinning-off its pharmaceutical division. The company has offices all over the world, and it is expected that the job cuts will effect employees proportionately world-wide, with no one office taking more job cuts than any other. If this is the case, then of the 4,800 Baxter employees working in northern Illinois, then about 240 jobs will be lost. About two-thirds of the cuts will take place outside the US. Also, some 30 percent of the lost jobs will be job openings that will simply not be filled, while the other 70 percent will be actual employee firings. It is expected that the cuts will save Baxter as much as $130 million a year. The third-quarter stats are as follows: the company posted a profit of $1 million, which translates to zero cents per share. In contrast, the 3Q net income was $468 million, or 86 cents per share, in 2014. The cost of spinning of its drug operations to Baxalta on July 1st had a negative impact on net income, costing the company $223 million in special items, or 41 cents per share. After the announcement shares of Baxter rose by about 2 percent to $36.64 per share. The U-Haul Company of Illinois, a do-it-yourself moving company that rents out trucks and trailers to individuals, is suing a group of Chicago-based towing companies for conducting a scam against them. 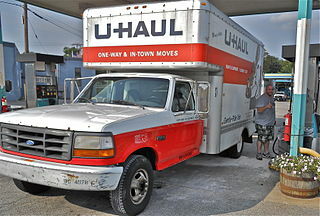 The suit alleges that the towing companies tried to convince renters of U-Haul vehicles to tell U-Haul that their truck had broken down and was in need of a towing service when in fact there was nothing wrong with the vehicles. The towing companies offered payment to the customers for fabricating the story. Then the towing company would come and tow the truck and charge U-Haul the towing and storage fees. It is not known how many times this alleged scam occurred and by how many people and companies, but the suit names seven towing companies and seven individuals. According to the Chicago Tribune one U-Haul costumer rented a truck in Hoffman Estates, and was then offered by one of the defendants $500 to say that the truck was damaged and needed towing services. U-Haul is seeking $50,000 in damages and an injunction against the defendants that they will never be allowed to tow any U-Haul vehicles again. Uber, the convenient app that allows customers to call a cab directly from their smart phones, has been competing with Chicago’s regular taxi companies for a while, but in what some might say is an unfair way. Currently Uber drivers are not allowed to operate to and from the city’s two major airports, O’Hare and Midway; nor can they take people to or from the McCormick Place convention center. Chicago’s Mayor Rahm Emanuel has proposed a leveling of the playing field by giving Uber access to those three strategic locales, incensing the conventional taxi drivers who believe (and probably rightly) that such a move would bite off a huge chunk of their already diminished business. “You never know. Will a taxi show up in your neighborhood? Will an empty cab pass you by? That’s the reality with taxis. But now you have a choice. With just the touch of a button, Uber will show up anywhere you are,” explains the ad. Chicago’s City Council will most likely be voting on this issue next week. The Aldermen will need to choose between what Uber says will be an additional $20 million per year into the city’s coffers from fees and surcharges; or to support traditional taxi cabs and their hold on the city’s taxi transportation industry. In a bit of an ironical twist it turns out that the winner of a big legacy sponsorship agreement with the Chicago Cubs is not necessarily the same airline the team flies out and back of the Windy City. American Airlines was successful earlier in the year to acquire a key sponsorship of Chicago’s home team, the Cubs; a deal even sweeter now that the Cubs are in the race for the National League pennant. Yet, when it comes to actual travel time, the Cubs pick American Airlines to take them on the road. United Airlines, which used to have a ten-year contract with the team, simply could not compete with the American Airlines offer. Nevertheless, United Airlines supplies the team with its charter flights, including its most recent trips to New York City to play against the Mets. The blog also stated that the airline has a “reputation for running a smooth charter operation” which gave them the opportunity to service 13 Major League Baseball teams this season. Officials in Rosemont announced that they are considering an offer to replace Toby Keith’s I Love This Bar & Grill as the company faces severe financial challenges. An eviction hearing is scheduled for later this week in which a judge could decide to close its doors immediately. The chain has been going through a difficult time as locations throughout the US have closed. In the past few months Toby Keith’s I Love This Bar & Grill in major locations such as Phoenix, Denver, Orlando, Cincinnati, Houston, Minnesota, Virginia and California have been forced to close due to non-payment of taxes and rent. Making their move to replace the defaulting bar is a joint enterprise between Joe’s Bar on Weed Street and Bub City of Lettuce Entertain You. They are both already exist in Chicago, and have a country-style atmosphere. The closure of Toby Klein’s could result in 170 people laid-off from their full and part-time jobs. 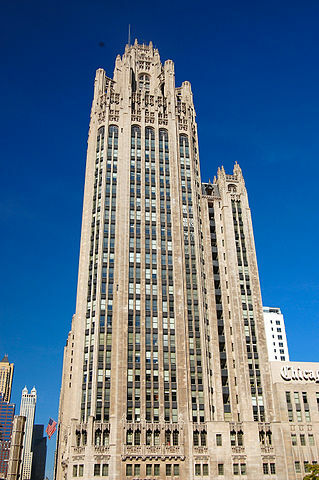 Tribune Media, owner of Chicago’s 36-story Tribune Tower, announced that it has acquired the services of real estate investment banker Eastdil Secured to explore the different options for selling or re-developing the property. President Murray McQueen of Tribune Real Estate said that this deal can be “an incredible opportunity.” He added that they expect a lot of interest in this property from a large assortment of private and institutional investors and developers. 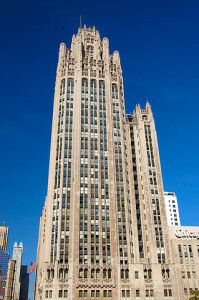 The Tower was built in 1925 and was granted landmark status in 1989, and is the home of the Chicago Tribune. The location where Fox and Obel used to occupy is now filled with a Target, but with a difference. The store is much smaller than typical Targets seen across the US; it offers home-made products from manufacturers in the Chicago area; and most exciting of all, alcohol will be served right in the store. The first Chicago Architecture Biennial opened to the public last week, and is worth a visit. The exhibition features the projects of 100 designers brought together from 30 different counties spanning six continents. The theme of the fair is well expressed in it title, “The State of the Art of Architecture.” The projects are intellectually challenging, joyful, futuristic, humanistic, and smart. Today’s architects joined together to truly confront the modern social issues head-on. The event is sponsored by Chicago’s Department of Cultural Affairs and Special Events together with the Graham Foundation. The Foundation is a Chicago-based architectural grant-making organization. At a cost of about $6.5 million the exhibition brings together a large collection of models, renderings, films, installations, and even some impressive doodles. 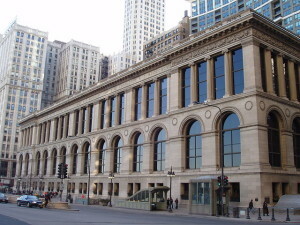 The exhibition is hosted at the Chicago Cultural Center at 78 E. Washington Street, a space which perfectly references the incredible classicism of the first Chicago architectural celebration, the World’s Columbian Exposition of 1893. The event is free to the public and is running until January 3rd, 2016. Illinois Governor Bruce Rauner offered tax incentives to the giant food company ConAgra earlier this year to entice them away from Omaha, Nebraska and set up shop in Chicago. According to the Chicago Tribune these tax incentives corresponds with other reports that the owner of popular food brands such as Swiss Miss, Chef Boyardee and Slim Jim is getting closer to making the move to Chicago. The Tribune reports that ConAgra is considering renting a space in downtown Chicago’s Merchandise Mart which can hold upwards of 1,000 employees. It is not known what Rauner’s incentives to ConAgra exactly were, and his offered was complicated by the fact that he later gave the order to halt similar tax incentives. 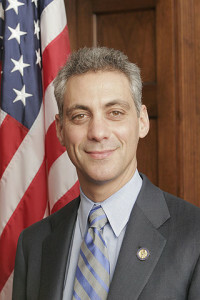 The Tribune’s source said that the Governor still plans to honor his original offer. Meanwhile, back in Omaha, where ConAgra has been located for almost 100 years, since 1922, Nebraska Governor Pete Ricketts is quilting together his own proposal with incentives to keep ConAgra at home despite the fact that his proposal is said to go beyond what the government can legally do. However the report was not enough to keep ConAgra employees from worrying. 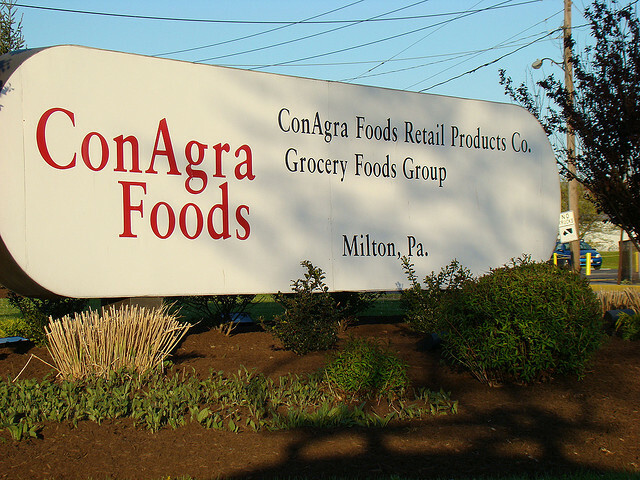 In another story from the World Herald it was reported that ConAgra CEO Sean Connolly warned that job cuts are coming, and that some ConAgra employees have even listed their homes for sale.